Fastcall helps with training and allows for immediate feedback. Users – based on your settings – can turn recording on / off and may pause recordng in an active call. When on an active call Fastcall shows if the current call is being recorded and gives an option to pause the recording. On your Salesforce Task, you will find a URL with the MP3 of the recording. Call recording URL is also on the Fastcall custom object for calls. Recorded calls can easily be deleted with the delete recording button on the call record. 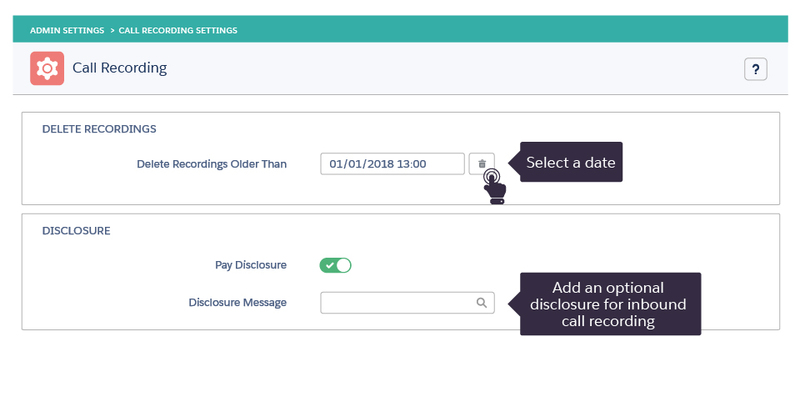 The field has track history enabled so you will have a record when the call recording is deleted. NOTE: Call recording is a custom field. Salesforce admins can enable or disable the call recording. 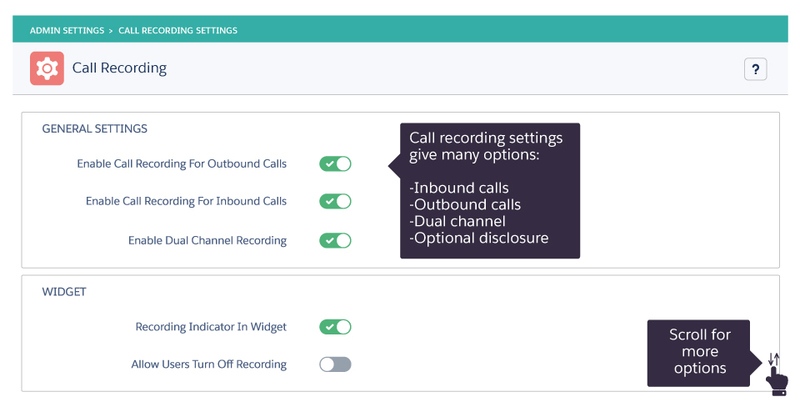 Fastcall has an optional disclosure for inbound call recording(recorded or text-to-speech). We will play either text-to-speech or an MP3 you record. For outbound calls, area codes can be added to block call recording to numbers in that area code (North America only). Fastcall admins can restrict the user’s ability to turn call recording on or off. NOTE: You can choose to use dual channel recording to split the parties between the right and left channels. Then you can use an application such as Audacity to handle each channel separately.